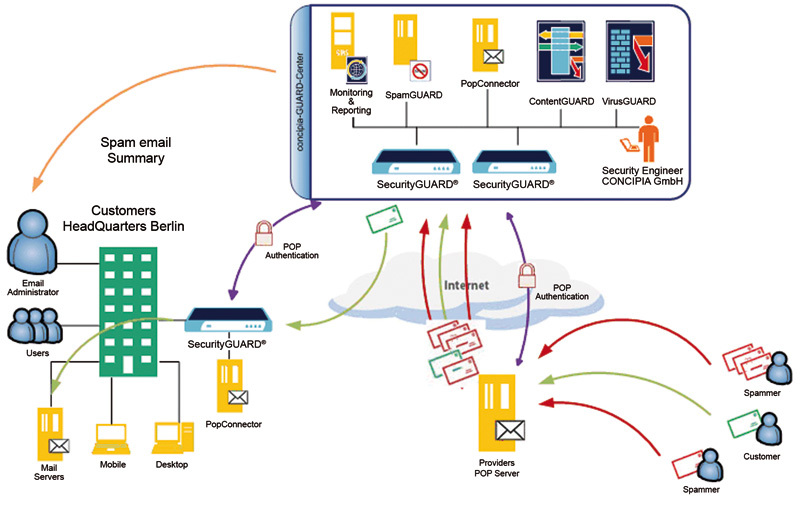 The CONCIPIA-SpamGUARD uses one of the most effective systems to prevent spam and malicious code via email traffic. The system is offered in two versions. On the one hand, by appliance at the customer on site, on the other hand as re-routing system via the CONCIPIA security centre. 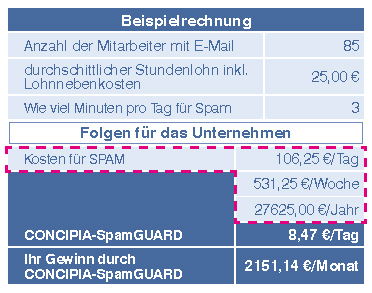 The impressively high recognition rate of almost 100% for spam and a near-zero false-positive rate are unique. The calculation example demonstrates the high benefit of an efficient anti-spam system, like the CONCIPIA-SpamGUARD.